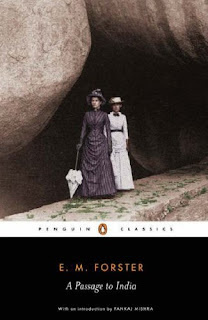 For reasons unbeknownst to me, I love a good period novel. Not just anything will do. I hate the vapid, shallow attempts lining the shelves of Christian book stores and chick-lit sections everywhere. Certain historical periods hold no allure for me. 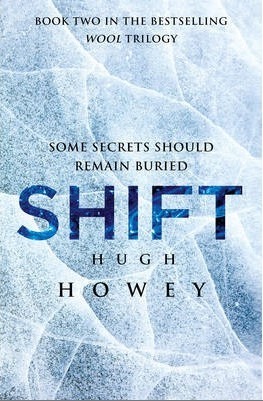 I find it difficult to isolate exactly what it is I love about certain books in this genre. Good writing certainly plays into it, along with good characters. My classic go-to for satiating this need is L.M. Montgomery's Anne of Green Gables series. 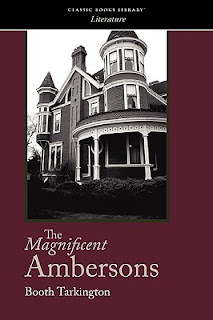 When I picked up The Magnificent Ambersons by Booth Tarkington, I had no expectations that it would fall into this category for me. I knew absolutely nothing about the story or author. The sole reason it came to my attention lies with the 100 Best Novels challenge. Once again, my literary adventure has proven itself worthwhile, presenting me with a charming story. 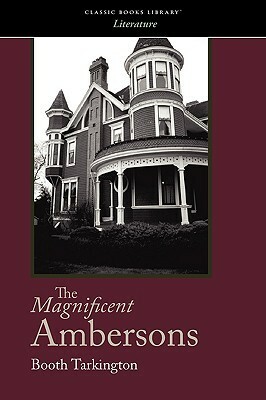 Tarkington's story centers around a wealthy family living in America at a time of cultural shift. The Amberson family lives off of old money while a new breed of American millionaires are rising from the industrial boom - around the turn of the twentieth century for those keeping track. Though set in Indianapolis, Tarkington's home town, the location is hardly mentioned and could be nearly anywhere. Oh the glorious Midwest, the epitome of relatable normal. I have got to get out of here. As summer comes to a close (when you work at a school mid-August equals fall), I thought I should slip in a so-called beach read. This book, though advertised as such (just look at that cover! ), floats the line between the chick-lit-beach-reads released en masse at the start of every summer and the darker, deeper books of the cold months. I read Sullivan's inaugural novel Commencement this spring. At the time, I deemed it chick lit and chastised myself for enjoying it so much. Upon reading Sullivan's sophomore work, I see a potential need to reclassify. I assume the publishers of J. Courtney Sullivan's books are purposefully marketing her as a women's author. One look at her book covers is all it takes to know that. Yes, her books are about women, but does that mean they should be relegated to women's eyes only? Certainly women will connect with them better, but they have value for any reader. While Commencement focused on the friendships of four women in college and beyond, Maine tackles familial relationships. Alice, the matriarch, her daughter Kathleen, her daughter-in-law Ann Marie, and her granddaughter Maggie all end up at the family summer home in Maine. The women each face internal battles and external conflicts. Alice has carried guilt over her sister's premature death for decades and, as a result, has never allowed her family to get close to her. Kathleen is a recovering alcoholic and divorcee who holds her mother in contempt for years of hurt and thoughtless comments. Ann Marie, while appearing to be a June Cleaver type outwardly, fantasizes about a family friend and, though its never stated outright, has a shopping addiction, control issues, and increasing difficulty managing her alcohol intake. Maggie, meanwhile, has searched for male affection since her parents divorce and grandfather's death; when we meet her, she has gotten herself pregnant by a deadbeat boyfriend and now faces a life as a single mother. As with Commencement, Sullivan is obviously not interested in shying away from tough issues. These characters are true to life in the best way possible. Sullivan navigates their disagreements perfectly, causing the reader to be rooting for all parties simultaneously. She allows her characters growth and deep thought. They are well rounded rather than their one-dimensional counterparts in mainstream chick lit. Sullivan spends time developing all sides of them: their histories, their personalities, their little quirks, their emotions, their spirituality - nothing is left unexplored. They are not particularly pleasant women; we are shown their deepest flaws clearly. Yet, it is just those imperfections that make them real. It is this depth that I think catapults Sullivan out of chick lit and into a world of literature where she should be taken more seriously. Her publishers need to start marketing her to a more reflective audience - although this would undoubtedly bring in far less money for their own pockets. They could at least start with the cover. There are plenty of studies and arguments out there advocating for the differences in covers between books markets to women and those marketed to men or neutral audiences. Any one who has family or who has married into family can relate to the struggles of these four women. While most of us are not dealing with dysfunction at the level, we like to think we are at times. 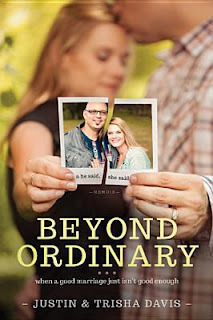 Who hasn't found herself wondering just how she ended up with her particular family? And, yet, in the end, family represents an unbreakable bond. Sullivan shows that also. As with Commencement, I found the ending of Maine to be a smidge too neat. The ends get neatly wrapped up and the women seem content and happy for the first time in years. This is great in theory, but it seems to fly in the face of the rest of the novel. When passions have run so high, resolution should require a bit more work. 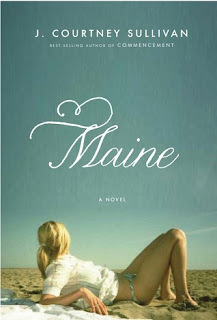 I enjoyed Maine, just as I did its predecessor, though with less guilt this time. I see now that Sullivan's depth was not a fluke in her first book. Her stories are rich and deep. They deserve to be marketed as more than women's books. 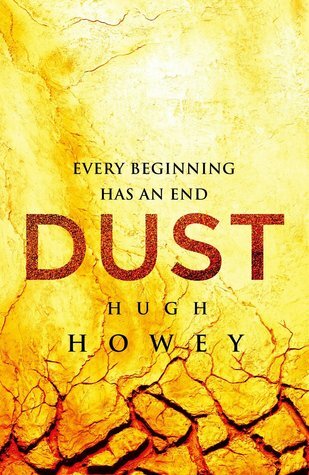 In preparing this post, I was a bit surprised to see so much hate on Goodreads. While some valid points are made there, I tend to disagree. This book is worth reading. "I have never looked into my sister's eyes. I have never bathed alone. I have never stood in the grass at night and raised my arms to a beguiling moon. I've never used an airplane bathroom. Or worn a hat. Or been kissed like that. I've never driven a car. Or slept through the night. Never a private talk. Or solo walk. I've never climbed a tree. Or faded into a crowd. So many things I've never done, but oh, how I've been loved. And, if such things were to be, I'd live a thousand lives as me, to be loved so exponentially." 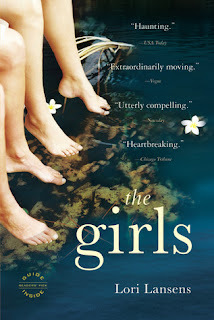 Those words open Lori Lansens' The Girls. Her work stands out because of its unique subject matter. The protagonists of the story are a pair of craniopagus twins (two girls, conjoined on the side of their heads). Rose and Ruby live in a small Canadian town, not too far from Detroit. At the time of their birth, which occurred on the same day as a devastating tornado, the middle-aged nurse who delivered them and stayed with them through their first weeks in the hospital became so attached that she convinced her immigrant husband they should adopt the girls. And so, the twins end up in the care of Uncle Stash and Aunt Lovey. It seems appropriate that my 100th post should be about this book, considering its title. I can hardly believe that I have reached this milestone. In many ways, this blog has been a bit of a time keeper for me. In its short life, it has seen my engagement and marriage, as well as a job transition. I have every intention of it seeing many more life changes as well. I love this little blog and am continually looking for ways to expand it and grow readership. On that note, what do you want to see here? If I expand my postings beyond book reviews, what content would you like to see? Keep in mind, I do want to remain true to the theme of reading and writing. Mitch Albom's novel does revolve around time and the value of it. That, however, is as far as I will take the connections to the blog. Albom's story is an interpretation of Father Time. Dor, who becomes the inspiration for the mythical character, lives in an ancient time. Without ever saying it specifically, Dor's life is set at the same time as the building of the biblical tower of Babel. Dor becomes fascinated with the passage of time and is the first person to monitor it. Thus, he is the first time keeper. God, or some higher being, is not pleased that Dor has brought concern with time into the world. As we all know, mankind becomes more and more obsessed with tracking time. As punishment for his part, Dor is doomed to centuries of life in a cave listening to the prayers of those wanting more time. He eventually is brought into the modern world and comes into contact with Sarah and Victor. Sarah is a nerdy teenager seeking the affections of a popular boy several years older than herself. Victor is a dying millionaire preparing to be cryogenically frozen. To condense the story into one line: Dor brings them together and teaches them the true value of time and life. Albom writes well. He has has a nice cadence and voice. He portrays the emotion of his characters well. Still, he certainly is not attempting to write the next great American novel. The book is a quick read; I finished it in a few days. 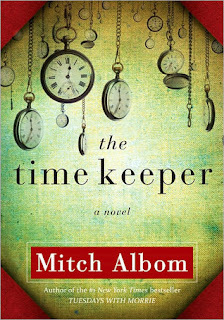 I realized upon picking it up that Albom also wrote Tuesdays with Morrie and The Five People You Meet in Heaven, the feel-good novels each from a few years back. Knowing that now, The Time Keeper makes perfect sense. The three books all fall into the same genre of quasi-Christian literature. Somehow, Albom has created his own little niche in this corner of the market. He does not belong alongside the many awful novels shelved in Christian bookstores. Yet, he also has not quite separated himself from the pack. 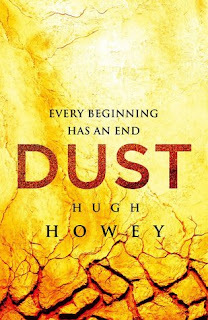 He retains that same feeling in his prose; he continually returns to a strong element of "happy endings once everyone has learned the moral of the story." That's not necessarily a bad trait, but it also veers dangerously close to cliche. I recognize The Time Keeper as a front runner in its own genre. Albom has surpassed many of his cohorts. Still, I feel something missing and cannot quite put my finger on what that might be. Whatever it is, I rarely see it in this genre of fiction, which is why I steer clear in the first place. I think my tastes are simply too dark for such apropos stories and clean endings with a bow neatly tied around them. Do you enjoy this genre of literature? What crucial element do you think is missing? As I have mentioned, I am casually participating in a summer reading program through Tyndale Media Center. Thus far, I have read the memoir of Lauren Scruggs and the account of two Christian women imprisoned in Iran for their beliefs. 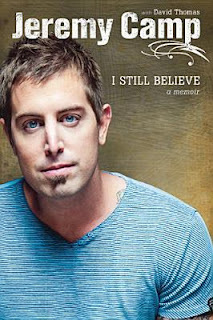 My third selection was the memoir of contemporary Christian music (CCM) artist, Jeremy Camp. As a teenager, I listened mainly to CCM - right around the time that Camp was a big name. While my music tastes have expanded quite a bit since those years, I still found it interesting to learn Camp's story. Camp experienced a fairly typical childhood. His family lived in poverty, but his parents had strong faith and they always managed to get by. He become heavily involved in music after his high school football career got cut short. Camp had committed his life to Christ and football became a casualty of that decision. As most artists, Camp spent a number of years building his career. As anyone who has toured before can tell you, the life of a musician is decidedly glamorous. During these early years, he fell in love with a young woman named Melissa. They dated on and off and, eventually, Melissa was diagnosed with cancer. The two were married after she went into remission. Within months, though, the cancer was back and her young life gone. Camp, now a widower at a young age, went through an understandably dark period. It was during this time that he wrote what is arguably his most famous song and the title for his memoir, "I Still Believe." I have known that song for years without every knowing the back story. Just as with the classic hymn "It Is Well," the story makes the song much more powerful. Overall, I found Camp's writing unpolished. While he has clearly been gifted in writing music and lyrics, prose does not seem to be his strength. I have no doubt of his sincerity or depth of emotion, but those qualities fight to come across on the page. 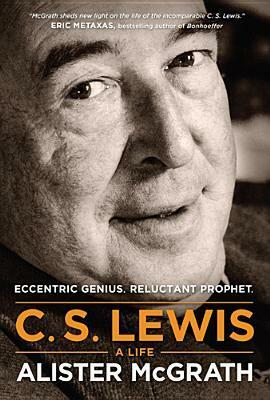 Regardless of his writing ability, he is obviously very earnest in his faith. I found it refreshing to know that his songs are coming from real experience and emotion, rather than being churned out for the CCM charts. His story is a powerful one and God has clearly used in many lives. At the end of the day, perhaps his inexperience in writing prose is a testament to the reality of his situation and the tenderness of his heart.